Herbs and their essential oils have been used for hundreds of years across almost all cultures for their medicinal effects on the human body. Essential oils have been known to promote wellness, boost healing and enhance physical and psychological well-being. Each oil contains unique molecules extracted from plants, fruits and herbs that interact with your body chemistry to produce therapeutic effects. Essential oils are often organic If you’re taking care of an older adult, parent or grandparent, you can use essential oils help them relieve some of the discomfort of an aging body. Below are three potent essential oils and how they can benefit your older loved ones. This incredible essential oil is extracted from the leaves of the marjoram plant, which has been used for its medicinal properties across its native Mediterranean region for many years. Like many other essential oils, it is steam distilled from fresh or dried leaves and contains many of its medicinally active components. Marjoram essential oil has a host of benefits and is best known for its analgesic, antispasmodic and antiseptic properties. As an analgesic, marjoram oil is used topically to reduce the pain caused by inflammation, sore muscles and even headaches. It can be very useful at controlling joint and arthritis pain in older adults. It is also very effective at reducing muscle spasms and cramps all over the body and can even put a stop to spasmodic cholera. Its antiseptic properties can help prevent wounds from developing secondary infections. A powerfully sweet citrus fruit, bergamot may provide many health benefits for older adults. As years pass, studies are beginning to show that bergamot may provide many health benefits, including antidepressant and stimulating effects. Research has demonstrated the usefulness of bergamot at boosting positive feelings, leading to a noticeable improvement of individual’s mental well-being. Bergamot can also increase our body’s hormonal secretions, helping with digestion, nutrient absorption and blood sugar regulation. Bergamot comes from farmers of Calabria, Italy, and are a skilled and proud community of agriculturalists. Extracted from dried lemongrass, this lemon-scented oil is a natural pain reliever, helping to soothe sore joints and aching muscles. It can also relieve body pain caused by overexertion and strenuous activities. Lemongrass oil is also a great aid for people suffering from excess flatulence, as it helps to remove excess gas from the intestine and prevents more from forming. In its diluted form, lemongrass also makes a great, all-natural deodorant. 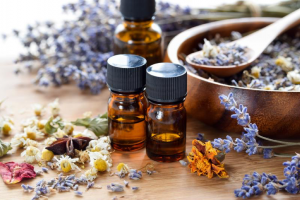 Many people in the U.S. are beginning to rediscover the benefits of essential oils as a holistic, natural supplement to healthcare. If you’re taking care of an older loved one, essential oils may be able to help better their health.